Four wide circumferential tread grooves and lateral grooves with fine sipes provide efficient water evacuation, outstanding wet performance. Continuous block patterns on shoulder enhance the ride stability at high speed cornering. The rim protector will protect wheels from curb damage. Continuous outside tread blocks enhance excellent performance and precise control when cornering at high speed. The special rib segment design optimize contact pressure distribution, improve road contact area and provide precise control. The serrated groove walls absorb noise and deliver a quieter ride. 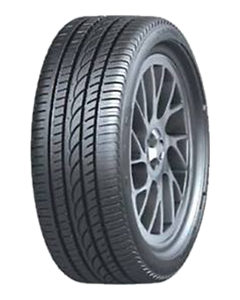 Special tread compound delivers excellent grip on both dry and wet roads and reduce the rolling resistance to save oil and protect environment.